Combat! 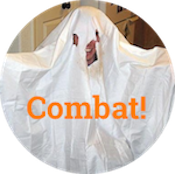 blog communes with nature, isn't useful - Combat! I wrote a column for the Indy this morning and 1000 words of fiction, as one does, and now I face a choice. I can either write a whole blog post for you good people, or I can go on a hike with my brother. I think you know from this preamble which I have chosen. There is no Combat! blog today, because I will be alone with my thoughts again soon enough. 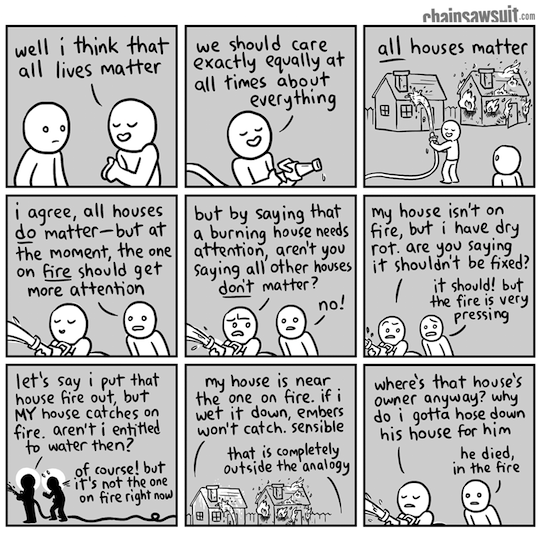 While I retreat to lived experience, how about you enjoy the timely comic strip above? I think it’s more common—and perhaps stronger—as only the first three panels, which expose the essential absurdity of a lately popular argument. Those of us who still log in to Facebook occasionally may find it useful. We’ll be back tomorrow, probably, with something more substantive.